Clive Thompson LRPS Photography: 1950s shot of woman sat on a 1947 Mercury Town Sedan in California. 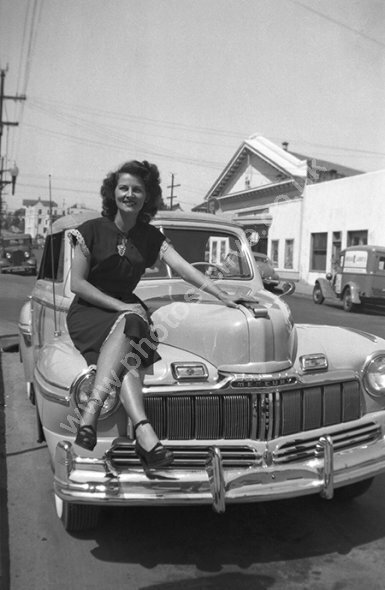 1950s shot of woman sat on a 1947 Mercury Town Sedan in California. A 1947 Mercury Town Sedan car in the streets of a town in California. The woman is in the 1950s so obviously in 1950s fashion and hair style. For commercial use of this photo, including use on another website, please visit Alamy.com and search for M3N9JB. For a one-off print please see below.